Today we welcome back to Talking Tea Shiuwen Tai of Seattle’s Floating Leaves tea to chat about one of our favorite teas, Taiwan’s celebrated Dong Ding oolong. Shiuwen believes that Dong Ding represents everything that Taiwan has to offer in terms of producing tea, and we chat about the qualities that make Dong Ding unique in this capacity. We discuss three basic styles of Dong Ding – traditional, fragrant and charcoal roasted – and together we taste and compare both a traditional and a charcoal roasted Dong Ding. Shiuwen points out that Dong Ding is a very “physical” tea, and we talk about the tea’s physical sensations as well as its flavors and aromas. We discuss the impact of Dong Ding’s terroir (particularly its soil) and oxidation levels, and Shiuwen tells us about a continuing controversy over Dong Ding’s cultivar. When we move from tasting a traditional Dong Ding to a charcoal roasted Dong Ding, Shiuwen chats with us about the effects of charcoal roasting, both for Dong Ding and for oolongs in general, and how a good charcoal master can focus and amplify the complexity and beauty of a tea. More info on Floating Leaves, including its online store, shop hours and classes, can be found at the Floating Leaves website, http://www.floatingleavestea.com, and at its Instagram feed. Talking Tea is produced and hosted by Ken Cohen. You can follow Ken on Twitter @kensvoiceken. Sign up for our email list to get updates on new episodes and events. The views and opinions expressed by guests on Talking Tea are those of the guests and do not necessarily reflect the views or opinions of Talking Tea or its staff. This podcast features music from “Japanese Flowers” (https://soundcloud.com/mpgiii/japanese-flowers) by mpgiiiBEATS (https://soundcloud.com/mpgiii) available under a Creative Commons Attribution 3.0 Unported license (http://creativecommons.org/licenses/by/3.0/). Adapted from original. Photo of charcoal Dong Ding by Payton, available under a Creative Commons CC BY 2.0 license. Sorry, I could not understand, there is another cultivar besides Qing Xin, right? What is it called? Hi Alex, Are you referring to the discussion about cultivar in the episode that begins at about the 8:00 mark? Shiuwen is saying that there’s a controversy as to whether Qing Xin and Soft Stem are two different cultivars or the same cultivar. She points out that some people feel they’re the same, some feel that they’re different cultivars, some feel that today’s Qing Xin was developed from Soft Stem. In the episode Shiuwen says that she thinks they’re different cultivars. I’m forwarding your question to Shiuwen to see if she has anything to add. 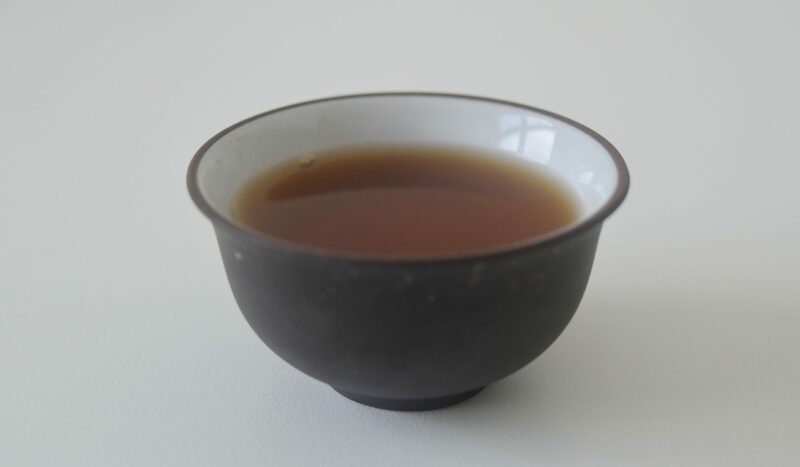 Interestingly, Babelcarp.org says that Qing Xin (literally green heart) is the same as Ruan Zhi (soft stem), and that Ruan Zhi was probably the original oolong cultivar brought from Fujian to Taiwan. Does this clarify things for you? It seems like it’s a bit of a muddy issue.